At Fishing Headquarters in Jupiter, as always, the talk is the latest catch. JUPITER, Fla. — At Fishing Headquarters in Jupiter, as always, the talk is the latest catch. "Bites been really good the last three days," said owner Pete Schulz. Sometimes the conversation turns to the natural reef system. "Reefs are very important," said Schulz, who added that reefs are big for business, both natural and artificial. "If the coral dies, you gotta have artificial reefs." With a struggling natural reef system stretching from the Keys to Martin County, Palm Beach County leaders are taking action to help in any way possible. "One of our artificial reef projects," said Benji Studt, pointing to the boulders at Dubois Park. For the past two decades, county leaders have been working to build these reefs. Now there are more than 150 off our shores. These reefs are made from old ships, concrete, or limestone. They’re also cost effective as the county partners with local non-profits and even state agencies like the Department of Transportation. 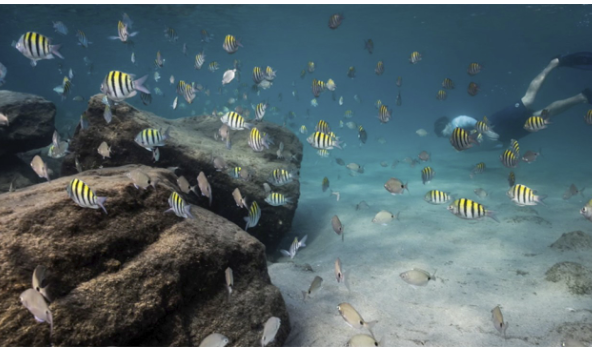 "By building this artificial habitat we’re providing an additional habitat for marine life to survive and thrive," said Studt. A good way to complaint those natural reef systems and bring more business to Pete. "Really cool to be able to do that," said Pete.